Where is your happy place? I have a few... Paris, in the mountains of Utah, and, of course, in my Brooklyn neighborhood. I love Brooklyn for the quirky people who love being different and love being true to themselves. I also love that Brooklyn has the highest per capita percentage of female CEO&apos;s of any place in the nation. It&apos;s good to be a Mom Boss here. So that&apos;s why I am happiest in Brooklyn. 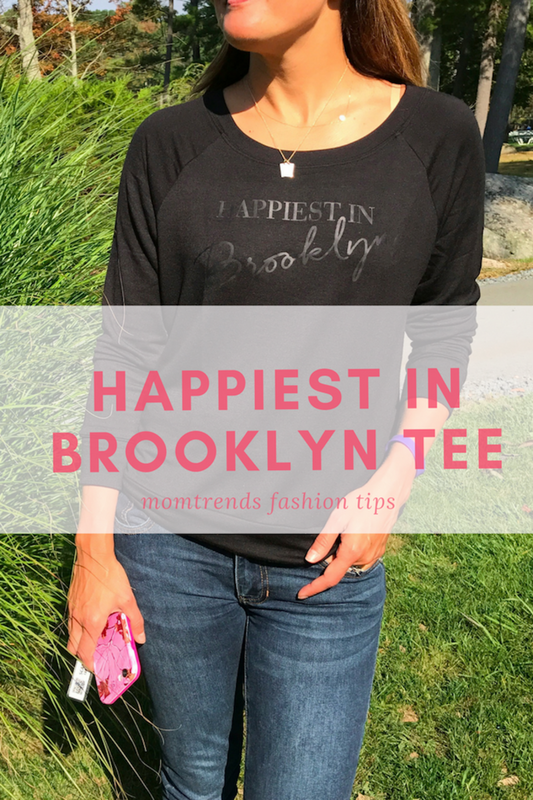 A few weeks ago I learned about the Happiest Tee&apos;s Brooklyn line, it&apos;s a collection of super soft tanks and luxury sweaters. They are stylish, eco-friendly, and feature a Brooklyn-inspired design. Since I&apos;m all about being cozy chic, I knew this brand was for me! The cute top goes with all my denim and is ideal for travel. Don&apos;t feel bad if you don&apos;t live in Brooklyn. There are more "happy places" too - like Paris and London. Take your pick and wear your heart on your sleeve. 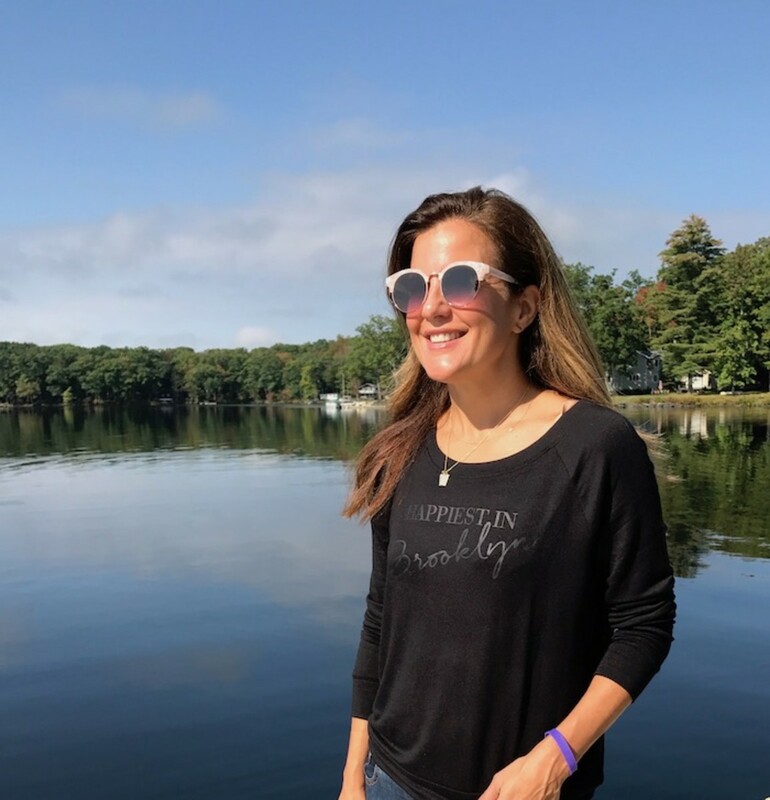 I brought this tee to Woodloch resort. We had our company off-site there this year. I loved the setting, and all I needed were casual clothes. This tee was perfect. I went for loads of walks and talks with my team. We loved the lakeside setting. I cannot recommend this place enough for work retreats or family gatherings. We stayed in the Tallwoods condos (more to come on that soon) and loved our luxe country accommodations. And it should be noted these Adidas sneakers I picked up at Rack Room make me happy too. I&apos;ve had an insane few weeks as the girls and I settle into our fall schedules. I&apos;m racing all over Brooklyn and Manhattan getting them to activities and loading on the marketing meetings for Momtrends. You know, Mom Boss life is busy! 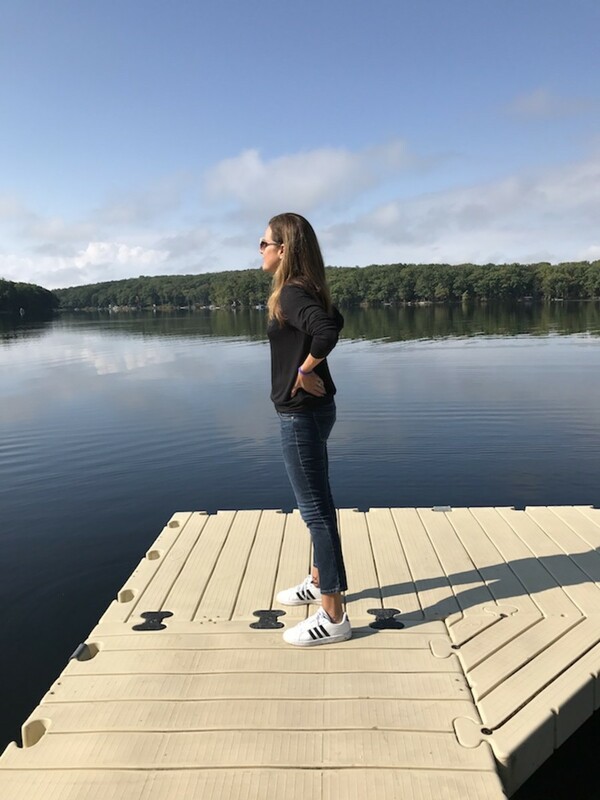 If you are struggling to balance it all, Mom Boss is a great read. For some reason the price on Amazon skyrocketed to $788 (why, oh why, my publishers who I have a not-so-great relationship with can&apos;t explain), but you can get it on Barnes & Noble at normal prices! Let me know what tees and sneakers you are loving this fall. And if you are inspired, get your t-shirt here.